Apple already offers some of the best displays in the industry. Whether you’re buying a Mac or iOS device, you’re all but guaranteed great picture quality and impressive specifications. But Cupertino wants to make those displays even better. A new report claims it will turn to mini LED backlighting technology to make it happen for its largest ever iMac. 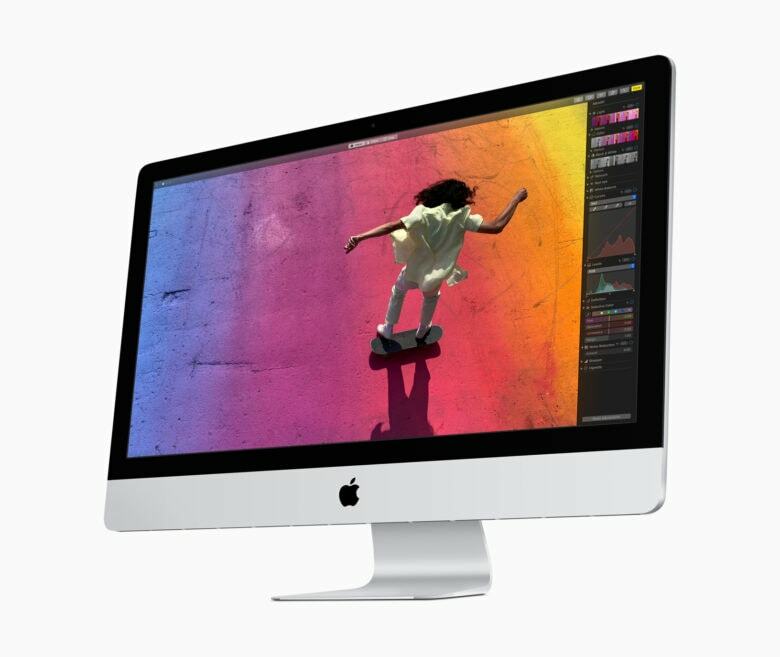 “Apple will adopt mini LED backlighting for a 31.6-inch iMac to be launched in the second or third quarter of 2019,” reports Digitimes, citing reliable Apple analyst Ming-Chi Kuo. The news comes after Kuo’s predictions of a larger MacBook Pro featuring microLED technology and a new 31.6-inch standalone Apple display made headlines on Monday. It now looks like Apple could be planning an iMac with the same dimensions. The report explains that Apple has chosen mini LED backlighting for its support of a wide color gamut, high contrast ratio, high dynamic range, and local dimming. But Apple’s technology will be a little different to regular mini LED implementations. Apple’s backlight unit (BLU) for the 31.6-inch iMac will consist of about 500 LED chips of 600 microns in size, Kuo explains. “Strictly speaking, this is a quasi-mini LED BLU because the chip size is much larger than those of standard mini LEDs,” adds Digitimes. The reason for this change is that larger chips will make these displays more affordable. And, more importantly, it will allow them to be manufactured at faster rates. This is important for a company like Apple, which sees incredibly high demand for its products. The iPad’s first mini LED display won’t be quite so simple. More than 10,000 mini LED chips will be required for the smaller screen, the report adds. Those will be produced by Epistar. LG Display will be responsible for the LCD panels, and Radiant Opto-Electronics will supply the BLUs. It’s not clear why the iPad will require so many mini LED chips. If Kuo’s latest predictions are accurate — and they usually are — then we can expect to see Apple’s first mini LED display inside a larger iMac later this year. It might be worth holding off on that $5,000 iMac Pro for now.